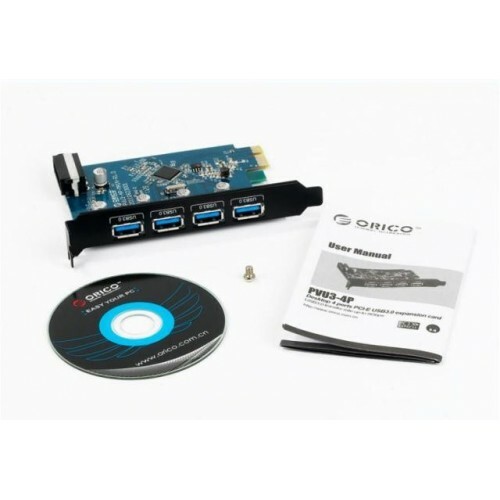 ORICO released the newest desktop 4ports USB3.0 high speed express card. 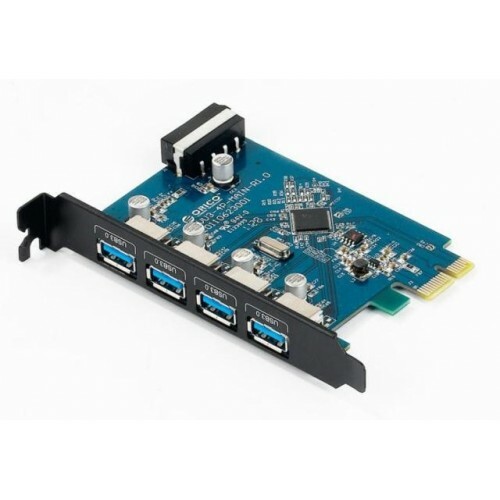 USB3.0 has already become one of the most popular interfaces in present IT world. Its previous generation USB2.0 is the interface with widest range of users in IT products, and nearly over 2billions USB devices sell out till now. By buying this product you can collect up to 5 loyalty points. Your cart will total 5 loyalty points that can be converted into a voucher of Rp‎ 5.000. ORICO released the newest desktop 4ports USB3.0 high speed express card. USB3.0 has already become one of the most popular interfaces in present IT world. Its previous generation USB2.0 is the interface with widest range of users in IT products, and nearly over 2billions USB devices sell out till now. USB3.0 will replace USB2.0 gradually, because it can reach the high speed which USB2.0 can’t reach. First its theoretical transfer rate up to 5Gbps, much higher than USB2.0 480Mbps, and also higher than eSATA 3Gbps speed. Besides, USB3.0 is compatible with USB2.0 and 1.1 standards, that is to say you can use it in your USB2.0 interface. 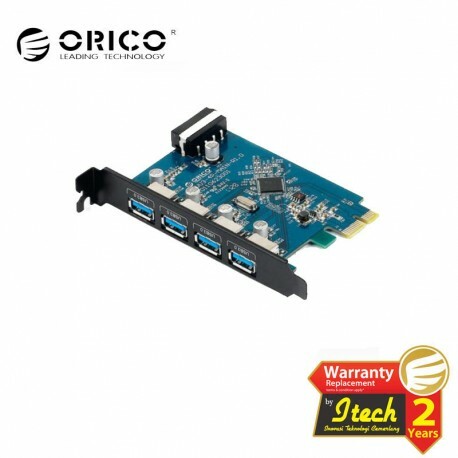 By using ORICO PVU3-4P, you can make your mainboard instantly upgrade to USB3.0 high speed, and enjoy the great capacity and high efficient storage ability. 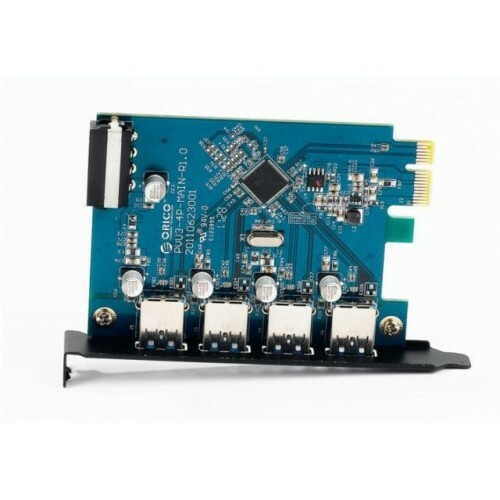 This product fit for multimedia video edit system, server database, DVR data storage, 2D/3D cartoon, artiest plot and system data backup using environment, and support Windows! 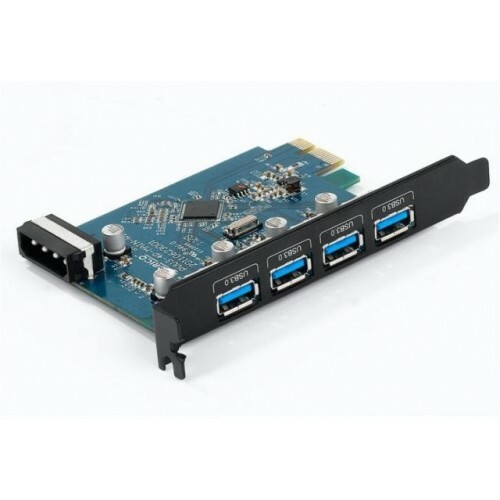 It makes desktop mainboard upgrade to USB3.0 easily.